Today I was invited to the opening of a new design and interior trade in Copenhagen – DesignTrade – and I was a really overwhelmed and impressed by all the great design Denmark has to offer! Not that I didn't know, but it is always good to be reassured and I think the initiative to a new design trade serves Denmark – and Copenhagen – as a design-nation good. – with a lot of great new products and designs among! I walked my way through almost all of the stands and had an overview of the exhibitors and their products – I must say that the overall styling is on a very high level, and even though I naturally don't find everything to suit my own personal taste, the majority of the exhibitors are really worth paying a visit. I was introduced to some great new products and design-solutions, and among them also a few that made me really excited, and they will soon be shown on the blog – both from some of the more established and well-known companies as well as from new and up-coming designers. I took a lot of pictures and will show you some of my favorite news and discoverings in the following blogposts, so stay tuned! 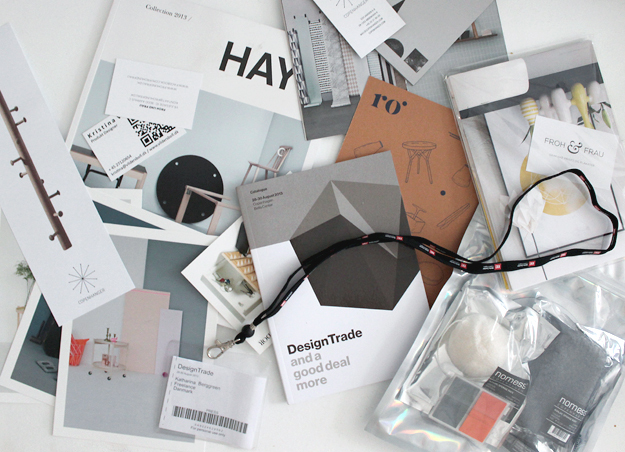 If you're in Copenhagen you can still visit the trade until August 30 – learn more on the official DesignTrade website HERE.